Some of the country’s former soldiers have blasted ANC stalwarts calling for President Jacob Zuma to step down, saying they were “out of order” and being “opportunistic”. Those who have publicly called on Zuma to go, include ex-communications minister Siphiwe Nyanda and ANC struggle veteran Ahmed Kathrada. 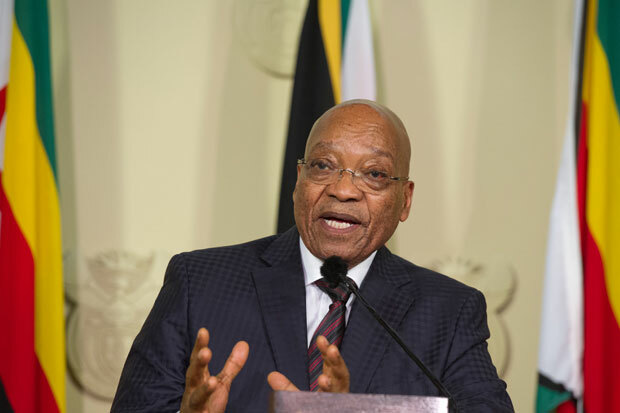 Zuma has come under increasing pressure following the Constitutional Court ruling regarding Nkandla last week. The court ruled that Zuma “failed to uphold, defend and respect the constitution” by not adhering to the remedial actions set by the public protector about the nonsecurity upgrades at Nkandla. Yesterday, South African National Military Veterans Association (SANMVA) president Thembile Magingxa said Zuma had apologised. “To us, these people who are calling for Zuma to step down are really out of order and opportunistic. Some of them have served in senior positions in the party. The president has apologised for whatever that he has done,” Magingxa said during a media briefing in Kempton Park. He said calls for Zuma to resign do not come from the ANC, but were initiated by opposition parties. “We were taught not to agree with people [who] are opposing us,” Magingxa said. However, Magingxa was prevented from explaining further by the association’s secretary-general, Tshidiso Paka. “SANMVA is an association having different organisations with different ideologies,” Paka said. SANMVA members include soldiers from the Umkhonto weSizwe Military Veterans’ Association, the Pan Africanist Congress’s military wing, the Azanian People’s Liberation Army, and the Azanian National Liberation Army. The association also slammed the South African National Defence Union (Sandu) which, a few days ago, called for Zuma to be removed from office as president and commander-in-chief of the armed forces. Meanwhile, some ANC provinces have come out in support of Zuma, with North West, KwaZulu-Natal, Free State and Eastern Cape accepting Zuma’s apology. The ANC in Gauteng is said to be in favour of a leadership change.